Ruud Stelten (Roermond, 1986) completed BA and MA degrees in Archaeology at the Faculty of Archaeology, Leiden University in 2009 and 2010 respectively. Research for his theses focused on maritime archaeology on the Dutch Caribbean island St. Eustatius, where he also worked on his first Caribbean archaeological research projects under the direction of the St. Eustatius Center for Archaeological Research (SECAR). During and after completing his studies, Ruud was employed as an archaeologist at Grontmij archaeology in the Netherlands, where he worked on numerous commercial archaeological projects dealing with remains from every major period in northwestern European history. In late 2011, Ruud became the island archaeologist of St. Eustatius, a position he held for two years. During this time, he managed SECAR, conducted various commercial archaeological projects, organized several student field schools, and was involved in public outreach. Recognizing the need for sharing archaeological research with the general public, Ruud founded Terramar Museum on Bonaire, an archaeological museum displaying the story of 7,000 years of Caribbean history. The museum opened in August 2016, and Ruud took on the position of director for the first year of the museum’s existence. As a specialist in Caribbean maritime archaeology, Ruud was hired to carry out various commercial underwater archaeological projects throughout 2017 and 2018. This prompted him to establish his own organization dedicated to maritime archaeological research: The Shipwreck Survey. He now organizes multiple underwater archaeological field schools, research projects, and expeditions every year on St. Eustatius and other locations around the world. 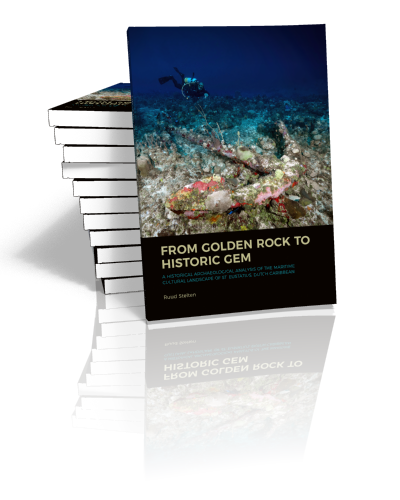 2015	An Emporium for All the World: Commercial Archaeology in Lower Town, St. Eustatius. In Managing our Past into the Future: archaeological heritage management in the Dutch Caribbean, edited by C.L. Hofman and J. Haviser. Sidestone Press. 2015	Archaeology on St. Eustatius: heritage management of an 18th-century slave village at Schotsenhoek plantation. In Managing our Past into the Future: archaeological heritage management in the Dutch Caribbean, edited by C.L. Hofman and J. Haviser. Sidestone Press. 2010 Relics of a Forgotten Colony: The Guns of St. Eustatius. Journal of the Ordnance Society, No. 22.